A newly elected West Virginia sheriff has a meth problem, a Kentucky drug detective develops a case of sticky fingers, and more. In Spencer, West Virginia, the newly elected Roane County sheriff was arrested Tuesday  on charges he stole methamphetamine from the evidence room of his previous employer, the Spencer Police Department. Sheriff Bo Williams faces removal from office after being charged with grand larceny. He had been placed on leave and resigned from the Spencer Police in December after investigators found evidence bags in his car and home. Williams has admitted to the theft and said he had been strung out for more than a year. In Louisville, Kentucky, a former Louisville Metro Police detective pleaded guilty December 22  to stealing cash from UPS packages he was inspecting as part of the Narcotics Airport Interdiction Team. Kyle Willet, 48, "would identify UPS packages that possibly contained cash. He would then take the packages to his vehicle and open them. On a number of occasions, he then stole the contents of (the) packages." 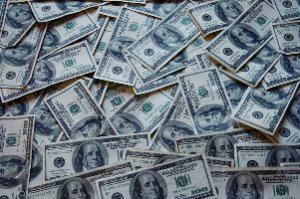 Federal prosecutors said he got away with nearly $75,000 in cash. Willet's attorney said that he was sorry, "but I think it's important for everyone to know that's whose money it was. It's cartel drug dealer money." Willet copped to one count of theft from interstate commerce and is looking at up to 10 years in federal prison when sentenced in April. In Philadelphia, a former Bucks County jail guard was sentenced last Wednesday  to between six and 23 months in prison for trying to smuggle suboxone into the Bucks County Correctional Facility in return for a $500 bribe. John Christopher Dingle, 36, copped to one count of possession with intent to deliver a controlled substance. Dingle said he was trying to help a prisoner who had helped him maintain order, but the prisoner's girlfriend was secretly working with the cops, and he was arrested after accepting suboxone strips as part of the plan.